Mercury wheel barometer made by Dominick Luvate in Preston in the late Georgian period. Superb mahogany case with ebony and satin wood stringing. 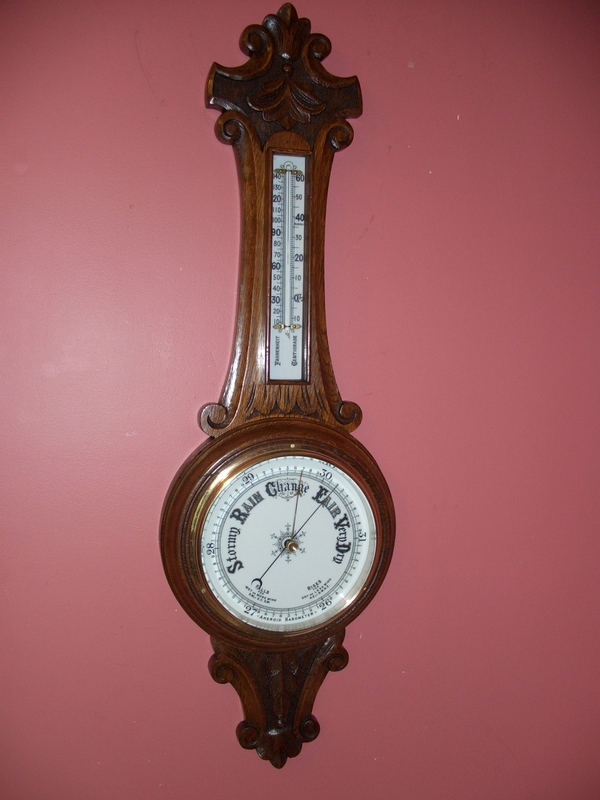 12″ silvered dial, mercury thermometer, hygrometer and level gauge engraved “D. Luvate, Preston”. Fully restored with one years guarantee. Ref: c0420.